Dalmatian Jasper palmstones, measuring between 20-40MM approximately. Small Dalmatian Jasper palmstones, which measure between 40-60MM approximately. The shapes, sizes and thicknesses of these pieces can vary quite a bit. 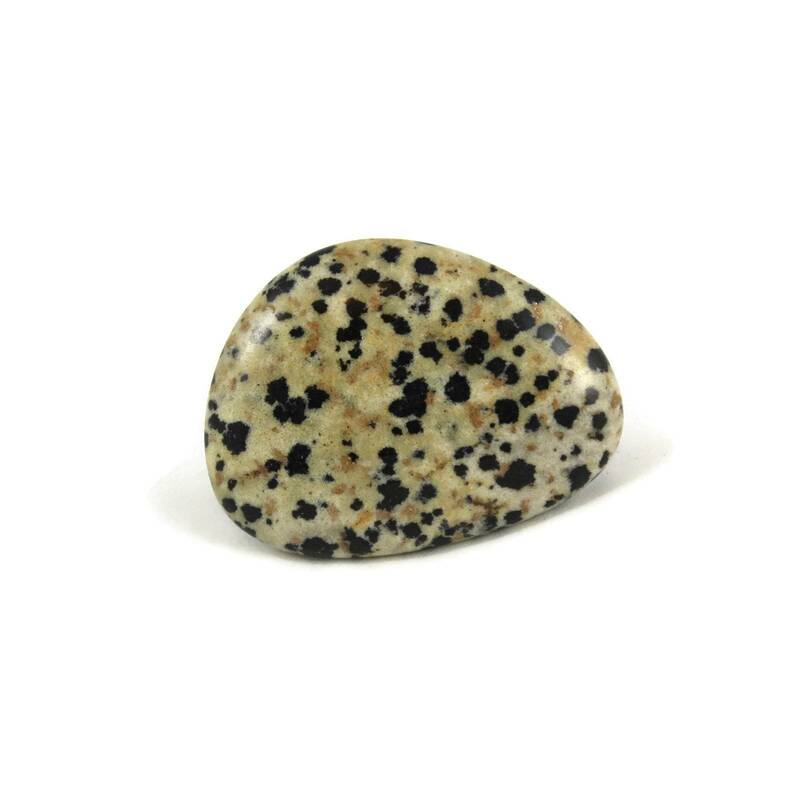 Dalmatian Jasper is often sold dyed. However, these pieces are their natural colour and have not been dyed or treated. Crystal healers believe that holding a palmstone will imbue the holder with the metaphysical properties of the stone itself. 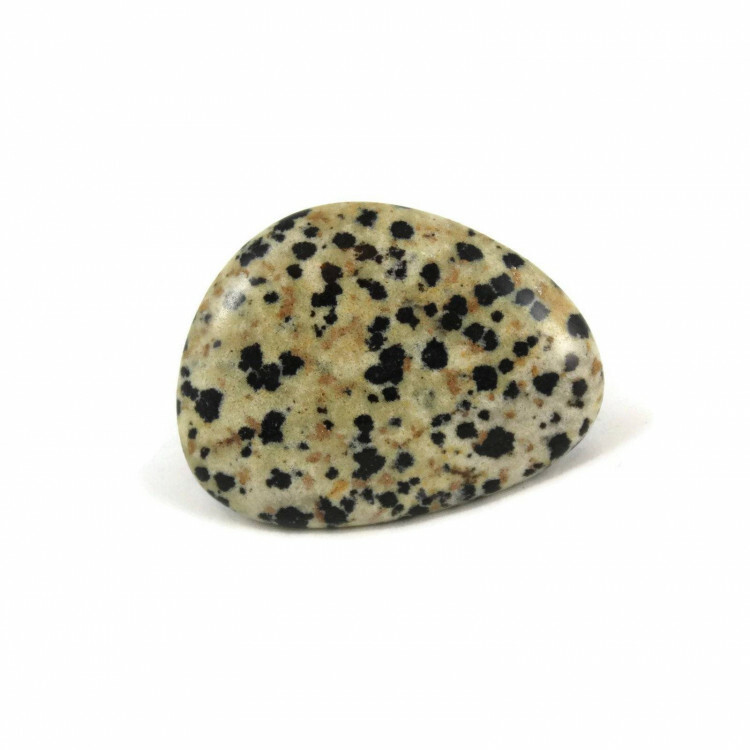 For more information about Dalmatian Jasper and a full list of all of our related products, please see our main ‘Dalmatian Jasper’ section. We do also sell a wide range of other semi precious palmstones.